One of London's biggest cinemas, the Odeon Leicester Square regularly plays host to premieres and awards ceremonies as well as screening the biggest of the week's big releases. All sleek glass and leopard print seating with a huge two tier auditorium this is the best place to go to catch that mega budget special effects fest on the big screen. What are the best dining options near Odeon Leicester Square London? Odeon Leicester Square gyms, sporting activities, health & beauty and fitness. The best pubs near London Odeon Leicester Square. Odeon Leicester Square clubs, bars, cabaret nights, casinos and interesting nightlife. 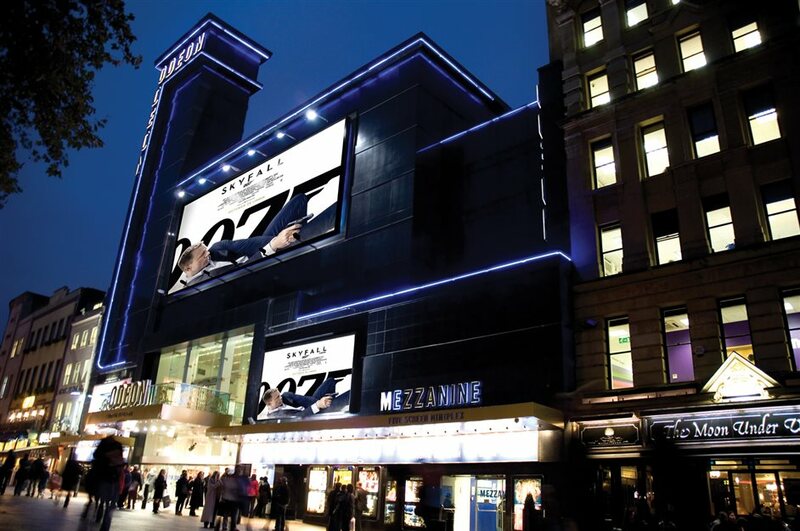 Where to have your meeting, conference, exhibition, private dining or training course near Odeon Leicester Square. From cheap budget hotels to luxury 5 star suites see our special offers for Odeon Leicester Square hotels, including Radisson Blu Edwardian Hampshire Hotel from 89% off.